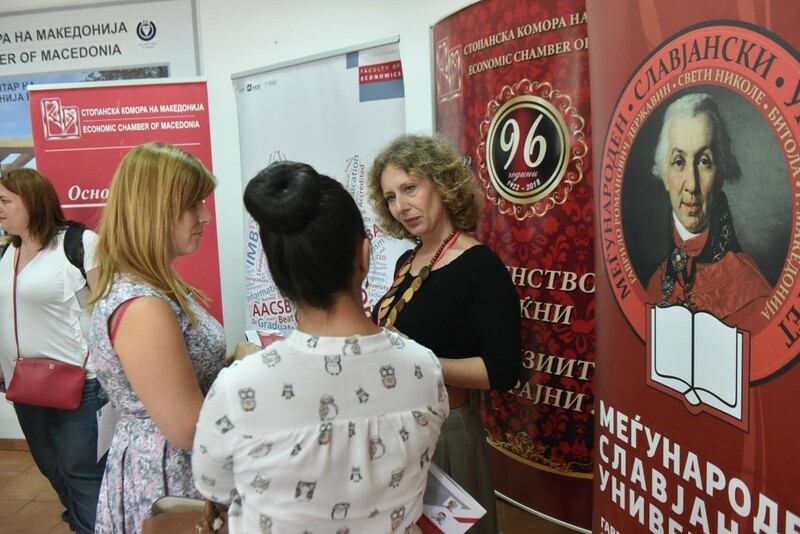 On Thursday 30 August 2018, the Faculty of Economics of the University of Ljubljana (FELU) organised an Open Day at the Economic Chamber of Macedonia. 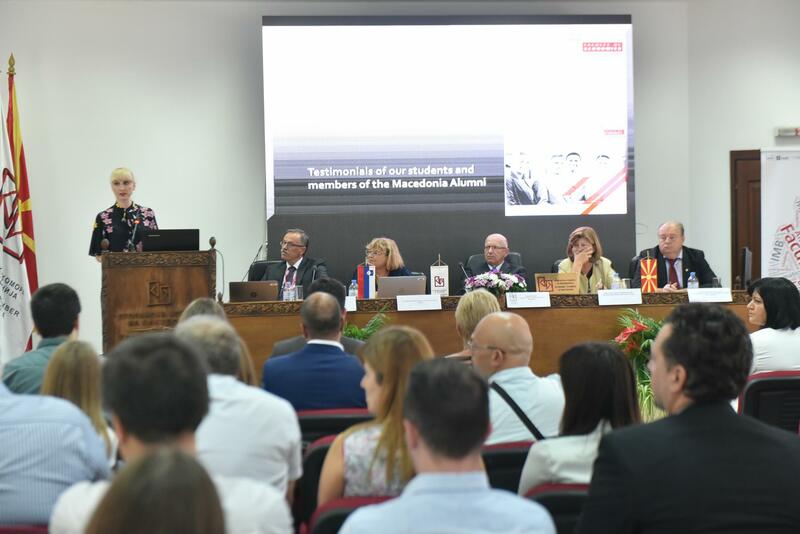 It was intended to enable the FELU to present the business community in Macedonia with the cooperation possibilities in the areas of business education and consulting, while also providing information about the Business and Organisation graduate study programme to prospective students. 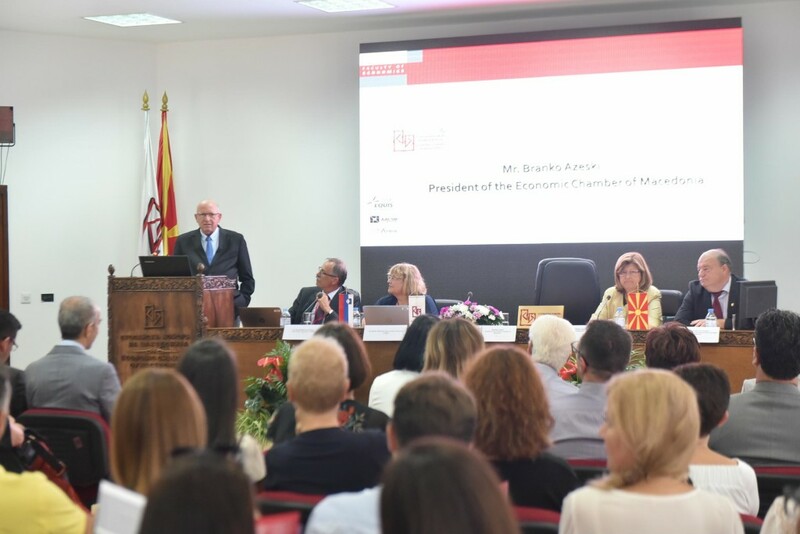 In the introductory part of the programme of events, those in attendance were greeted by Branko Azeski, President of the Economic Chamber of Macedonia and also a member of the international FELU Advisory Board. 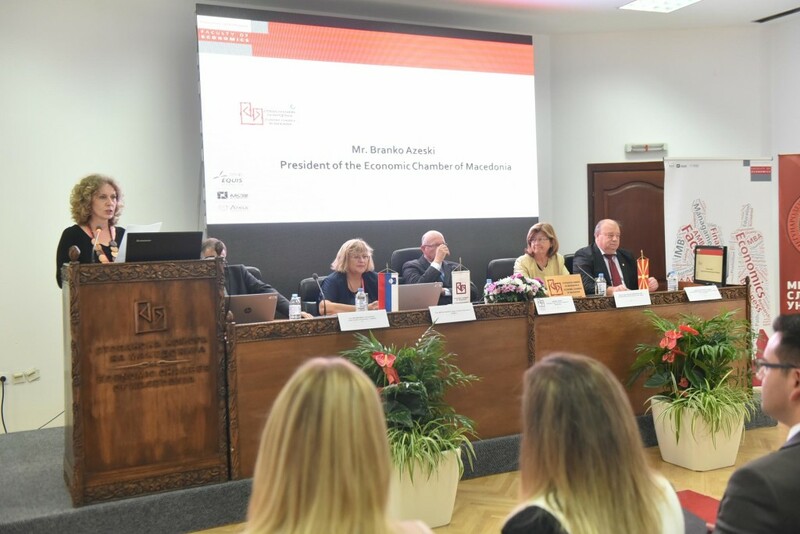 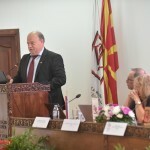 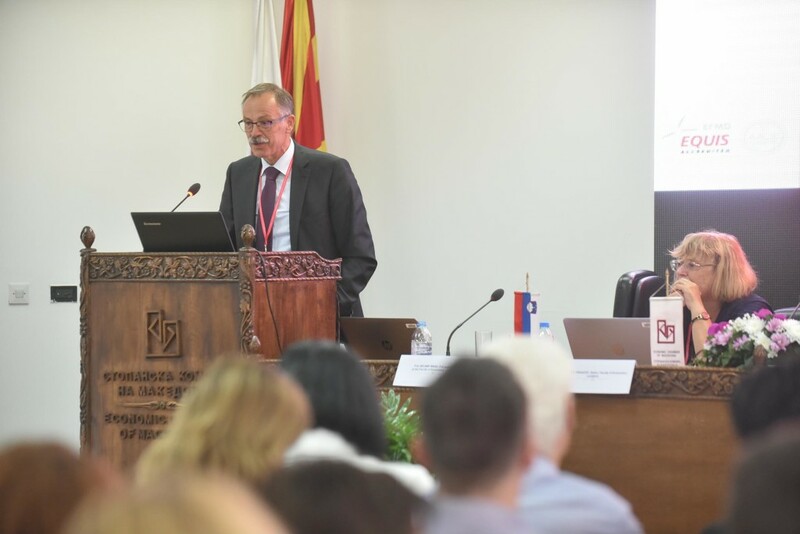 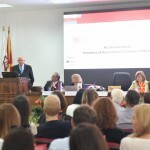 In his speech, Azeski noted that Slovenia’s presence in Macedonia is felt in several important areas, making it a vital factor in promoting the Macedonian economy’s development. 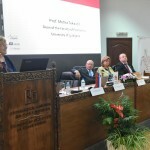 He emphasised the importance of transferring knowledge and investment into education and science, while stressing that only the establishment of a society of knowledge can ensure the country’s continuing economic growth and development. 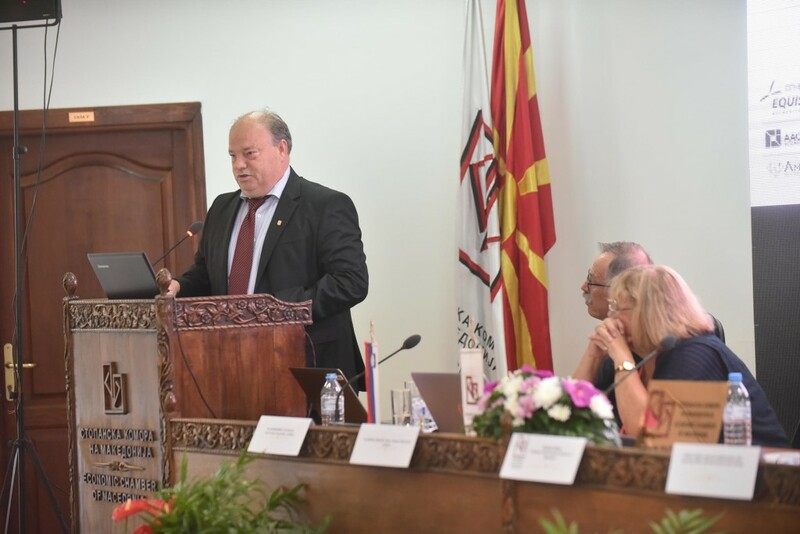 At the end of his remarks, Azeski stated that he is proud to be a member of the international FELU Advisory Board. 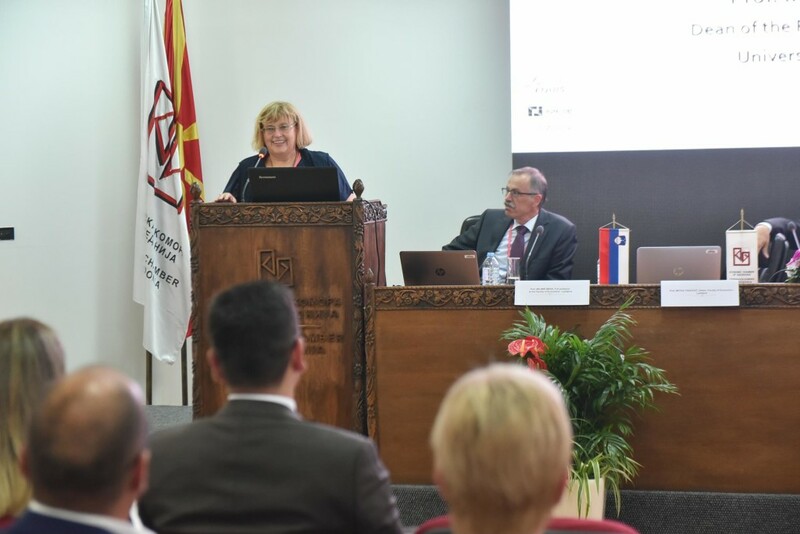 Prof. Dr Milan Jazbec, Ambassador of the Republic of Slovenia to Macedonia, and Dr Bardul Dauti, Minister without portfolio in the Government of the Republic of Macedonia in charge of foreign investment, greeted the participants with short addresses. 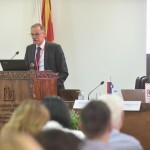 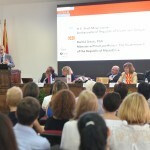 Both speakers underlined the importance of education for the country’s economic development, whereas Dr Dauti pointed to the immeasurable value for his current ministerial work of the knowledge and experience he had acquired in his FELU doctoral studies in Ljubljana, where he obtained his doctoral degree under the mentorship of Prof. Jože Damijan. 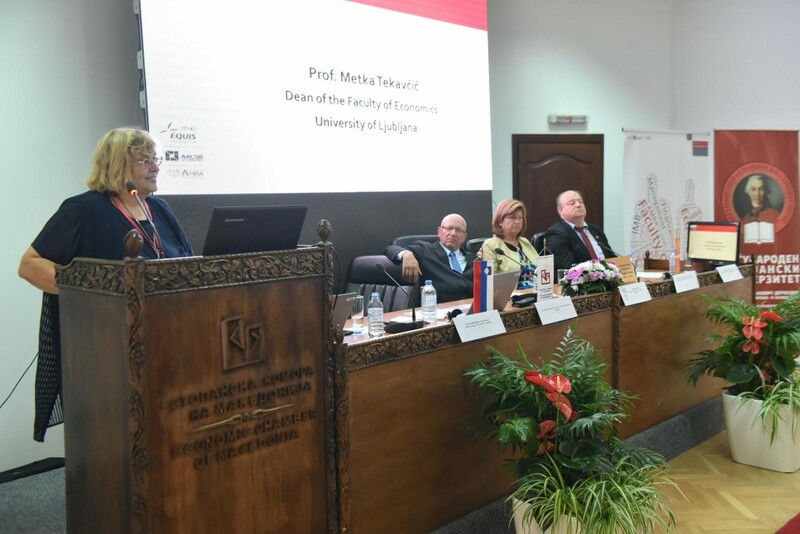 In the continuation, the Dean of the FELU, Prof. Dr Metka Tekavčič, greeted all those present and comprehensively described the FELU and all the accreditations it has obtained that verify the excellence of its operations. 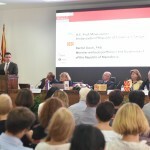 Three former Macedonian students of the FELU, who are today very successful businessmen, spoke about the FELU’s “Business and Organisation” master’s programme, putting special emphasis on its high quality, practice-based nature and excellent organisation. 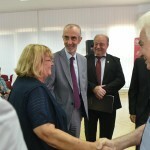 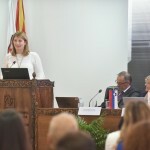 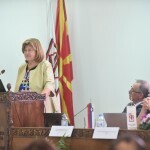 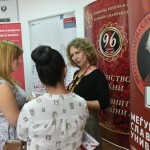 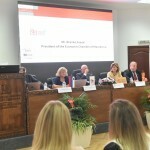 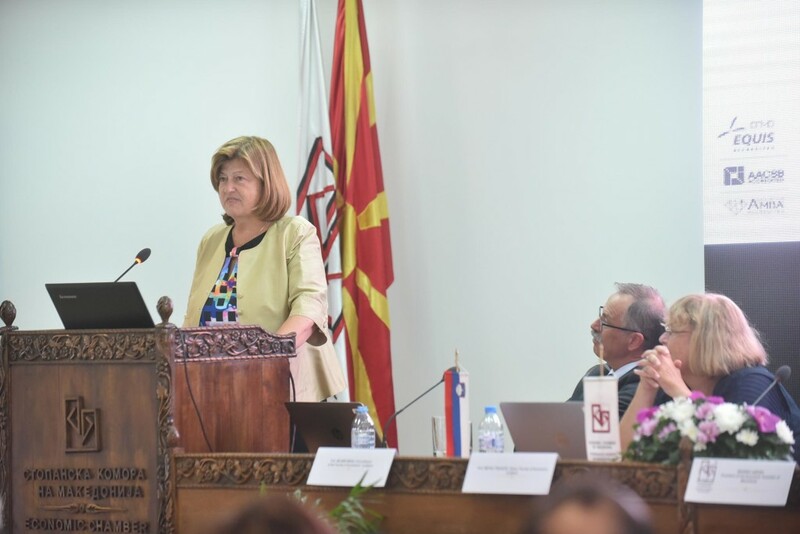 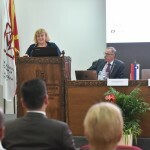 The FELU’s cooperation with the M6 – Educational Centre in the area of managerial education in Macedonia was presented by Verica Hadživasileva Markovska, MSc, the Director of M6, who highlighted the excellent quality of the FELU professors and the participants’ satisfaction with educational training. 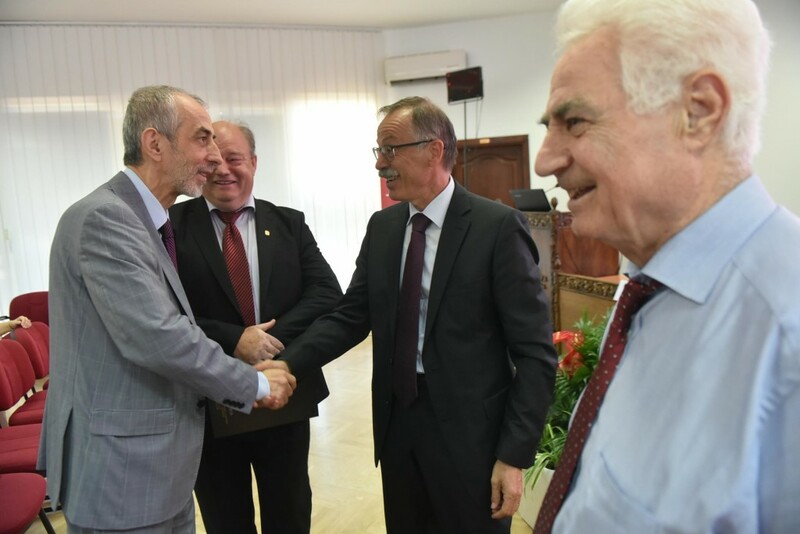 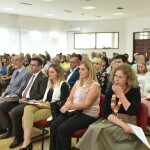 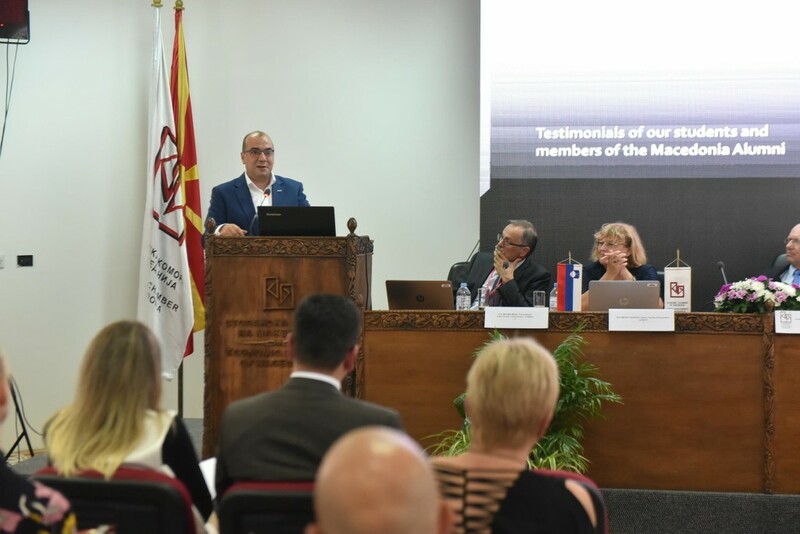 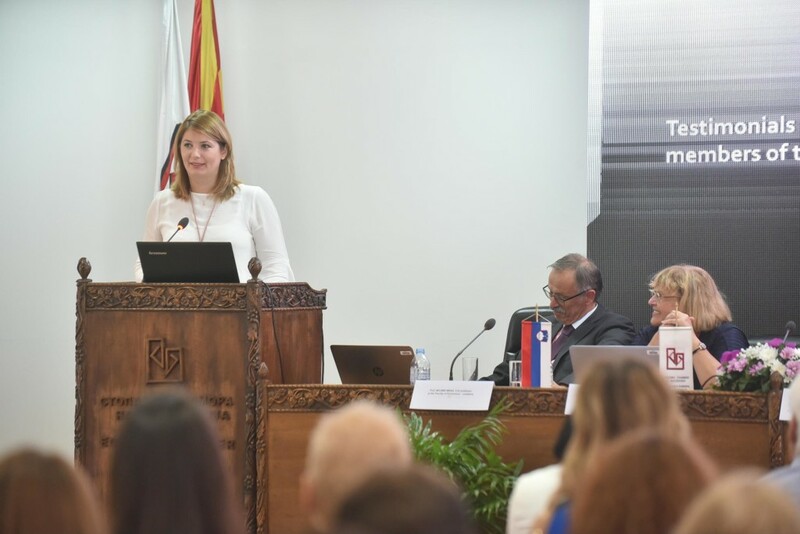 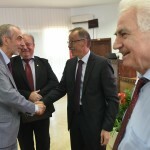 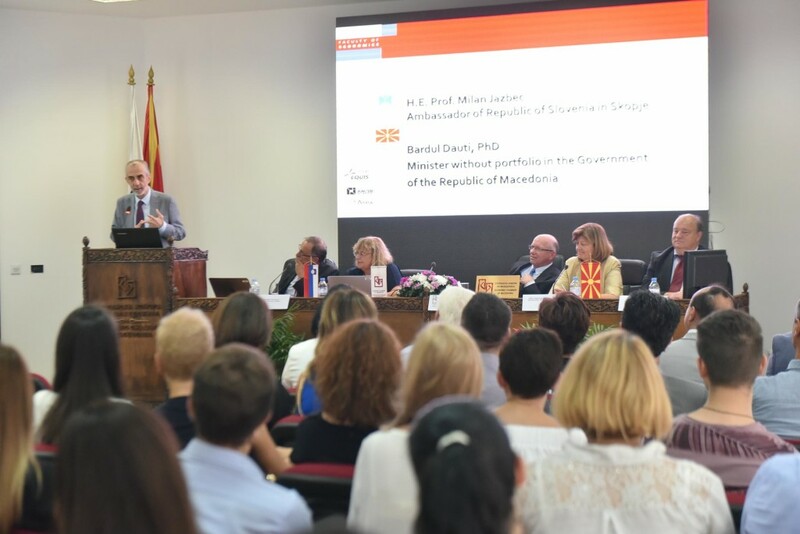 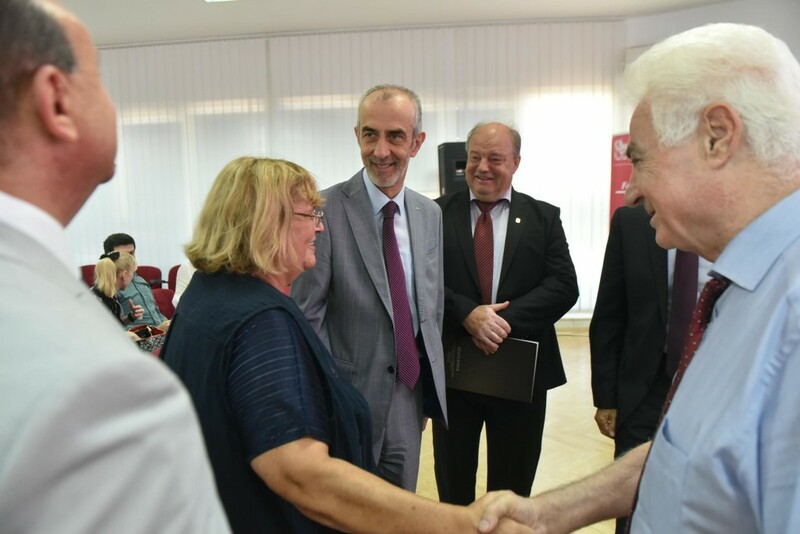 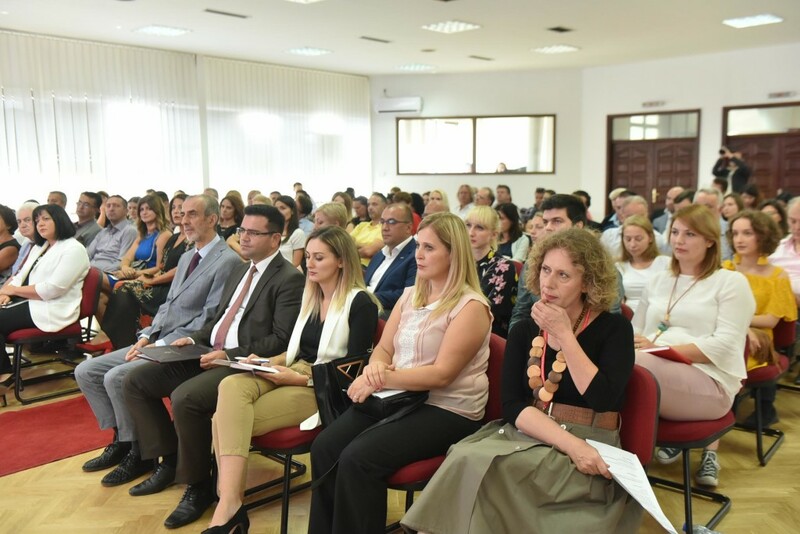 Visitors to the Open Day were also addressed by Dr Jordan Gjorchev, President of the International Slavic University, with which the FELU has entered into a cooperation agreement for organising the Business and Organisation master’s programme in Macedonia. 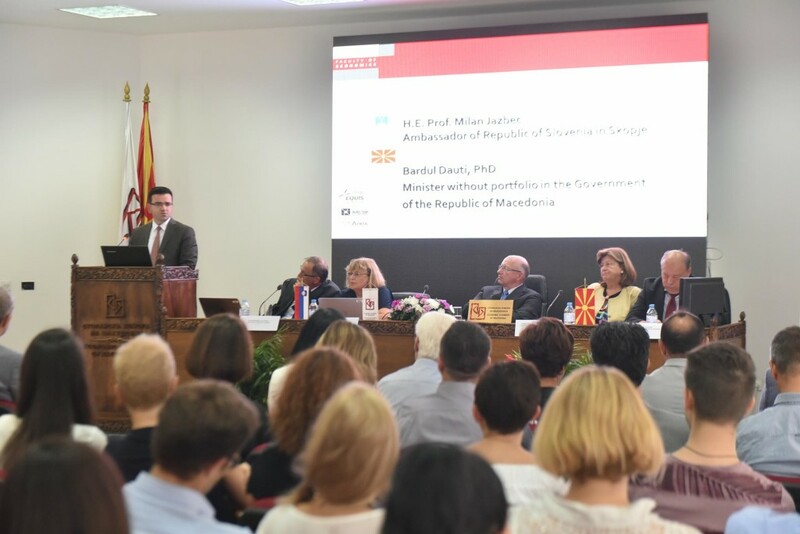 The Open Day in Macedonia was rounded off with an excellent and topical lecture given by Prof. Dr Mojmir Mrak entitled The EU accession path of the Western Balkans: Where do we stand?. 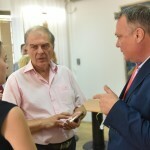 The event received excellent media coverage and, together with the media representatives, was attended by 90 people in total. 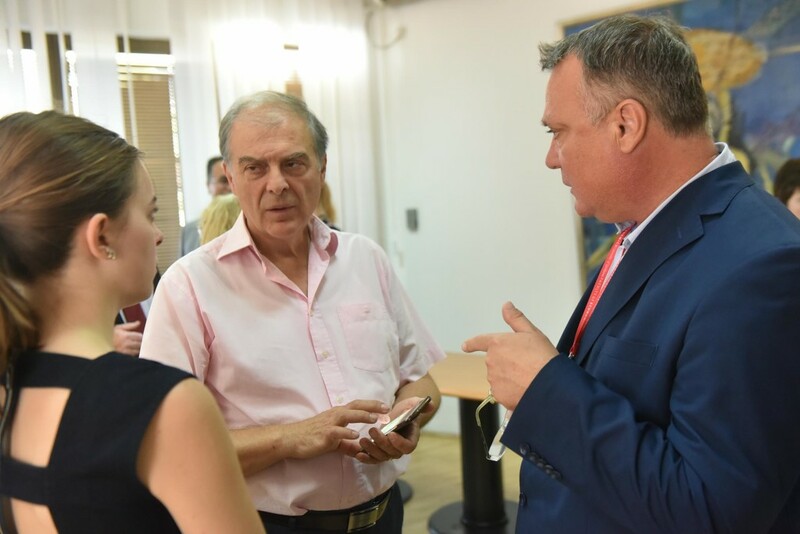 In the course of the event, FELU Dean Prof. Dr Metka Tekavčič and Prof. Dr Mojmir Mrak held a meeting with Prof. Dr Baybars Altuntas, Chairman of the World Business Angels Investment Forum, where the Dean and Altuntas endorsed the plan to sign a cooperation agreement. 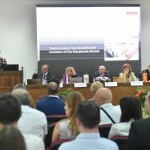 On this link: https://we.tl/t-zS1DlmZbUZ you can download the film (1’40”) from the event.